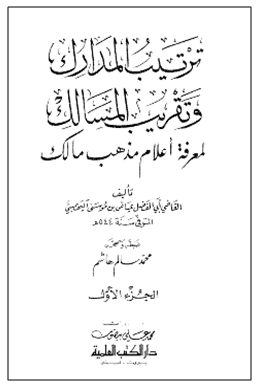 In his book Tartīb al-Madārik wa Taqrīb al-Masālik Qāḍī ʿIyāḍ (rahimahullāh) mentions the slaughtering of notable Scholars of Ahl al-Sunnah when they got caught up in the revolt of a Kharijite against the ʿUbaydī Bāṭiniyyah Shīʿah in al-Qayrawān during the 4th century hijrah. These Bāṭiniyyah would openly revile the Messenger (sallallaahu alayhi wasallam) and the Companions (radiyallāhu anhum) on the streets and Ahl al-Sunnah were severely oppressed. There was a Kharijite by the name of Abū Yazīd Mukhallad bin Kaydān, he was much given to devotion and worship and was obeyed by his people. He revolted against the Banī ʿUbayd, incited the people against them, and had many victories, taking many cities. Many of Ahl al-Sunnah thought that it was a duty upon them to revolt due to the kufr of Banī ʿUbayd and so they joined with Abū Yazīd, without intending to come under his obedience. Those who joined him were Abu al-Faḍl al-Mumsee, Rabīʿ bin Sulaymān al-Qaṭṭān, Ibrāḥim bin Muḥammad al-Ḥanafī, ʿAbd al-Malik bin Marwān as well as other notable Scholars and a group of civilians. They decided upon this after consulation to fight against "a cursed mubaddil (alterer) of the religion (the ʿUbaydī ruler)" and they saw it as a means of expiation of their sins. Then they went and on their way they incited the people to jihād, making takbīr, tahlīl and the likes through the streets and sending salāt upon the Messenger (sallallaahu alayhi wasallam) and asking for mercy upon his family and companions and reciting verses from the Qur'ān, "And fight against the heads of kufr" and "Fight them, Allāh will punish them through your hands..." A powerful jumuʿah khutbah was given by Aḥmad bin Abī al-Walīd, inciting the people to jihād, and reviling the Banī ʿUbayd. So the next morning the people went out with Abū Yazīd (al-Khārijī) for their jihād. They surrounded the ʿUbaydiyyah in the city of al-Mahdiyyah, and when Abū Yazīd saw this, and was certain of victory, he manifested what he concealed of his Khārijite doctrine and he said to his associates, when you meet those people (the enemy) then expose the Scholars of al-Qayrawān so that their enemies can subdue them. So then those whom Allāh willed (from Ahl al-Sunnah) were killed by the ʿUbaydiyyah and they included 35 people from the jurists and righteous. This was in the month of Rajab 333H. It is not permissible for the one who sees the uprising of a Khārijite who has revolted against the leader, whether he is just or oppressive - so this person has revolted and gathered a group behind him, has pulled out his sword and has made lawful the killing of Muslims. It is not befitting for the one who sees this that he becomes deceived by this person's recitation of the Qur'ān, the length of his standing in prayer, nor his constant fasting, nor his good and excellent words in knowledge when it is clear to him that this person's way and methodology is that of the Khawārij.